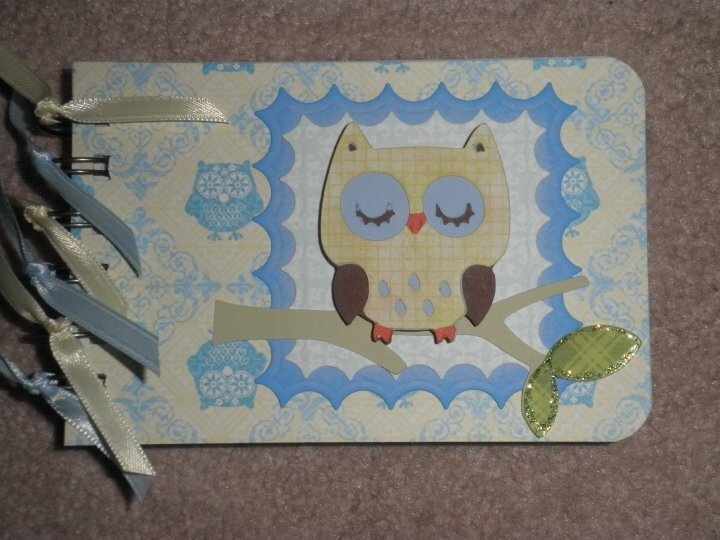 Paper Crafts by Candace: More notepads..
Love how easy these are to make! 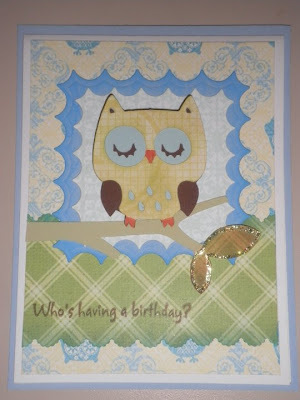 Here is my tip for the day and I think I've said it before, when I cut an image out on my cricut I usually cut two of the exact same image and put one aside for another project another day. The skull, circle and scallop circle are from two different projects that I made back in December I think. This was so easy to slap together and make! The skull is from Indie Art, the circle and scallop circle are from storybook. The owl is from Create a Critter along with the branch. And since I had all my paper out.. I made a card that matched with the extra owl I cut out. both of the notebooks and the card are cute!!! do u use a BIA? Again, great job on the lil notebooks. I am out of O-wires for my BIA but as soon as I get some, these are on my list. They are so fun. 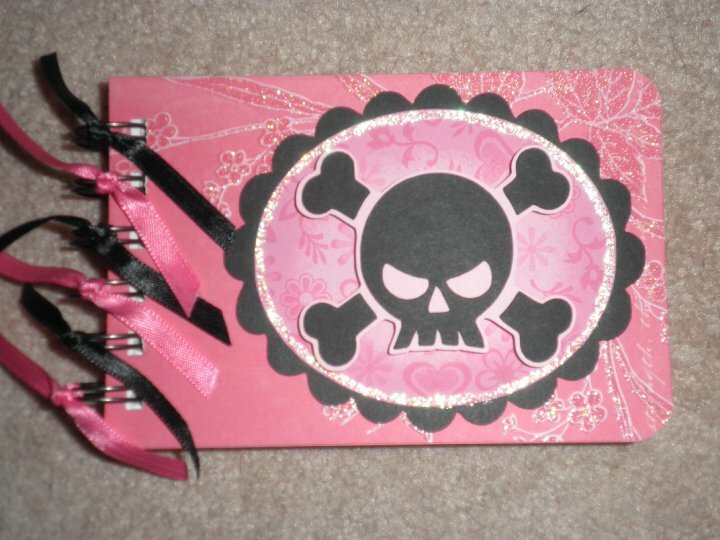 I just love your notebooks! I can't wait until I get a BIA to try one!